My default for writing anything that is longer than a page is LaTeX (possibly via org-mode, if it is short and simple). In fact, the bond that ties me to the LaTeX/Emacs combo is so strong that I want to use it even for texts that are exactly one page long, i.e. conference posters. oster a spin. Beamerposter is an add-on that transforms my favourite presentation package into a poster printing machine. I did not really like the default themes, but Rob Hyndman has created a very alternative nice template that I adapted slightly. I rather like the result and will go back to the package for the next poster. Here is a short presentation on the electorates of the Western European Extreme Right I gave last Thursday at the Collège Doctoral Européen de Strasbourg. Personality traits and additional factor? (well) analysis of PP’s ideological flaws. Now I know. Though the original article by scientific idol and graphics guru Edward Tufte (“power corrupts, powerpoint corrupts absolutely“) has been on the internet for five years, I only acame across the graphical analysis while browsing -er- a PowerPoint presentation. Though it’s a good one on research designs. 4th UK Network conference held at the University of Greenwich. 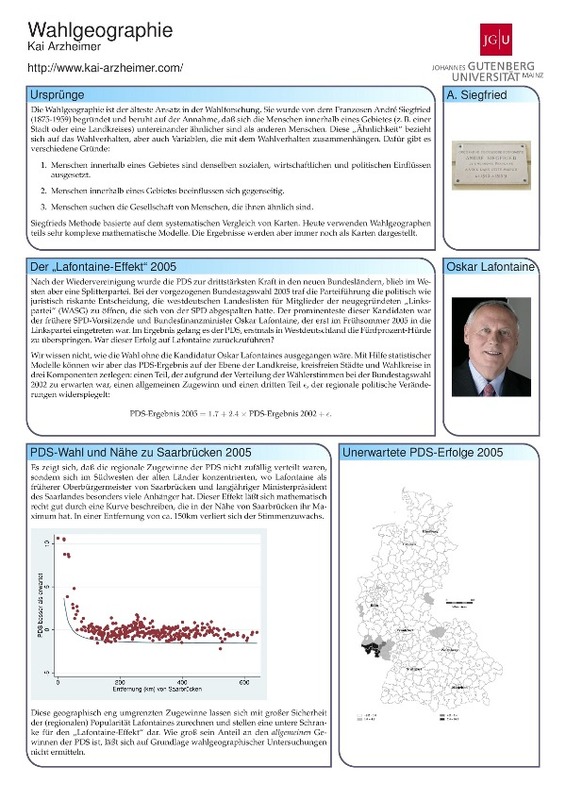 For this conference, we created a presentation on Knowledge Networks in European Political Science that summarises most of our findings on political science in Britain and Germany and provides some additional international context. The picture on the right shows a subnetwork of about 320 scientists who mutually cite each others’ work. 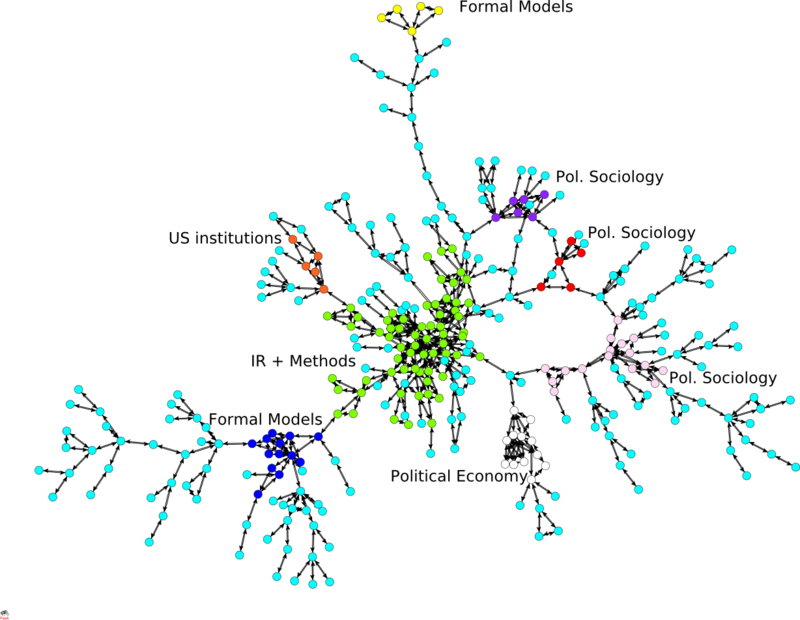 Watch out for the dense IR/methods cluster and the lack of (mutual) connections between the dispersed political sociology and formal methods camps.